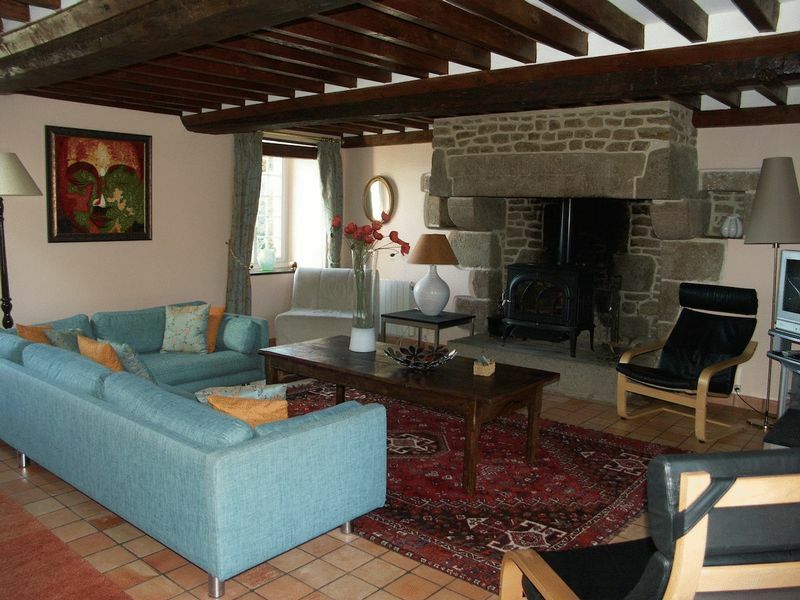 Rare opportunity, beautiful 17th century Manoir & Cottage each with own heated swimming pool. 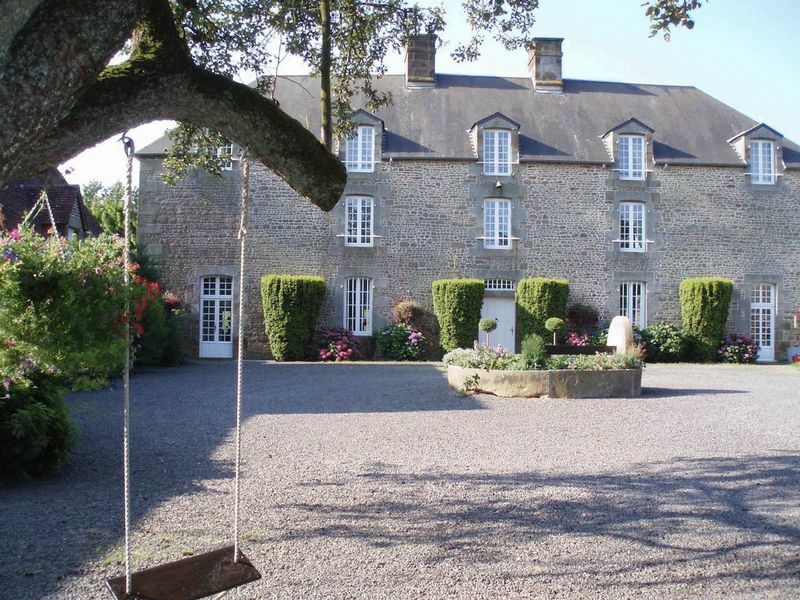 REDUCED PRICE: Nestled in the canton of l'Orne and the Parc Naturel Regional Normandie-Maine, Le Logis is an outstanding 18th century property that is full of character and provides exceptional family accommodation at the edge of Sainte Marguerite de Carrouges village. 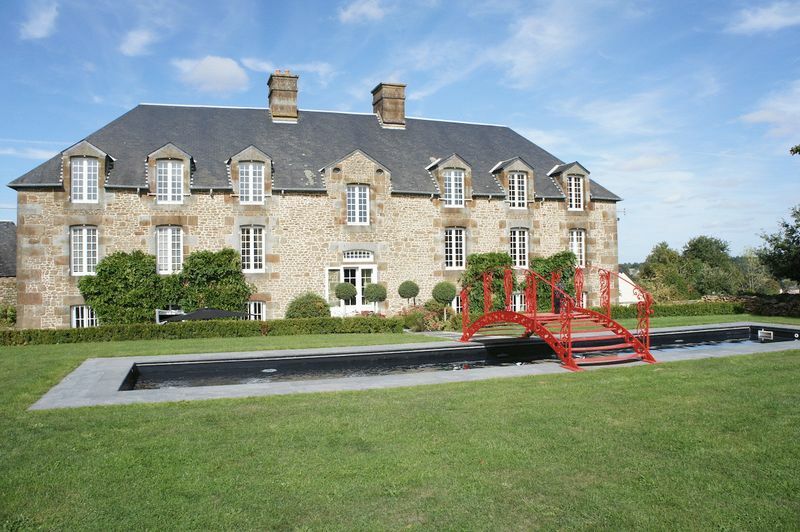 Built on 1.5 hectares with landscaped gardens and paddocks, the buildings were constructed in 1754 from Normandy blue granite. 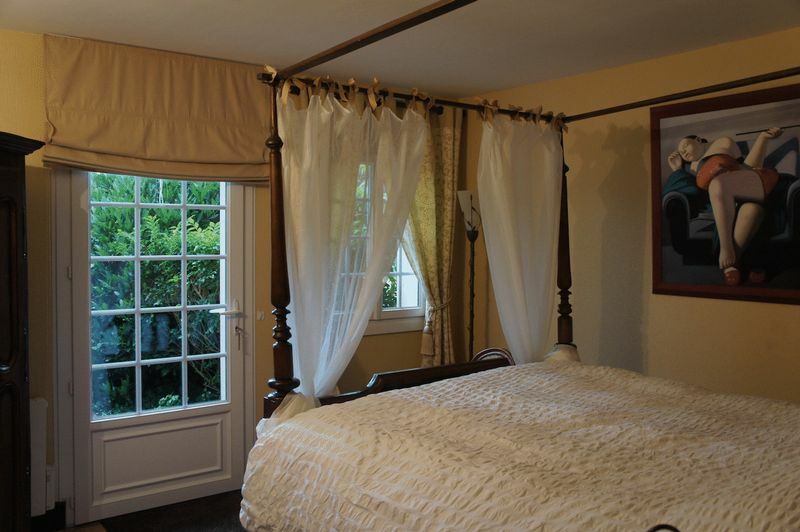 The Manor has 6 bedrooms and the Cottage has 5 bedrooms; both have outdoor heated swimming pools. The perimeter of the property is enclosed by dry-stone granite walls. 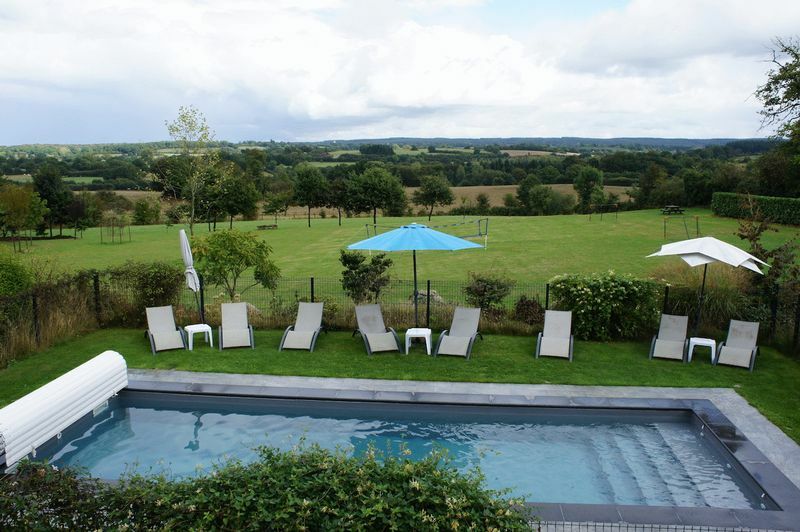 Le Logis is app one hour from the coastal town of Caen and two hours from Paris. It is located within easy driving distance of ferry ports and airports, with shops, services and golf-courses nearby. 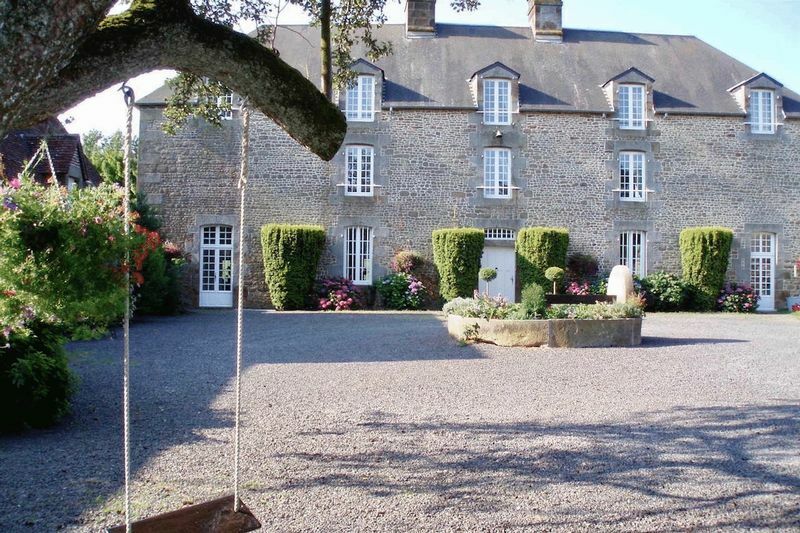 Its proximity to the northern Normandy coast, beaches and transport links means that Le Logis has great potential as a wonderful family home with useable commuter links or as a luxury holiday rental property. The large paddock to the rear of the estate would be highly suitable for use as a helicopter landing site. A state of the art geothermal-powered central heating system, combined with solar panels and double-glazed doors and windows, provides an environmentally-sound, low-cost and highly-effective heating solution for the Manor, the Cottage and the swimming pools. 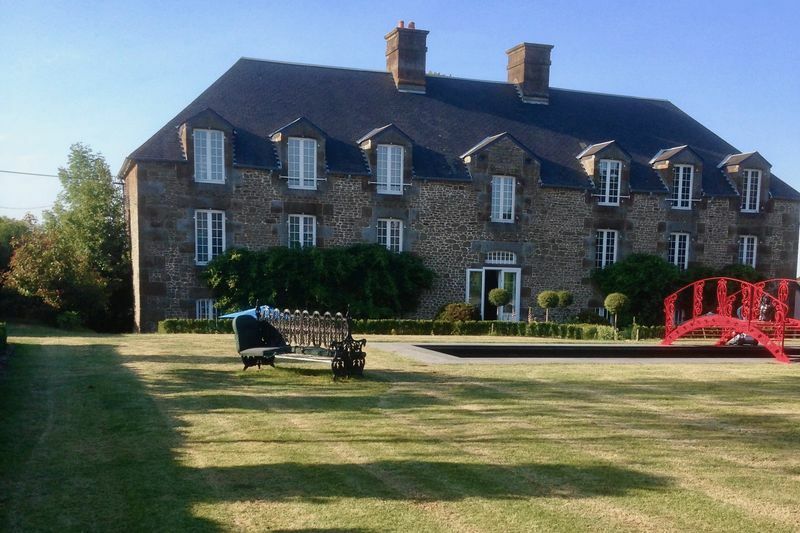 Take a few minutes to learn about Le Logis. 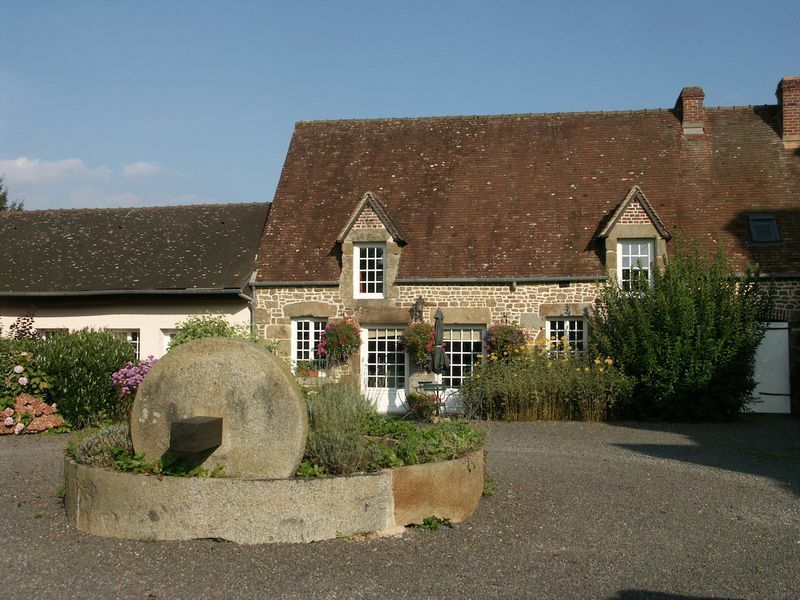 The property's history is detailed in the Bulletin de la Societe Historique et Archeologique de l'Orne. King Louis XV approved the "Le Logis Convent Foundation" in a letter issued and registered with the Parliament de Rouen in 1764. Our web site photo gallery provides dozens of images and plans. The floor plan for each level of the Manor illustrates the extent of the spacious home. And the virtual tours provide a viewing experience as if you were physically present in that room! 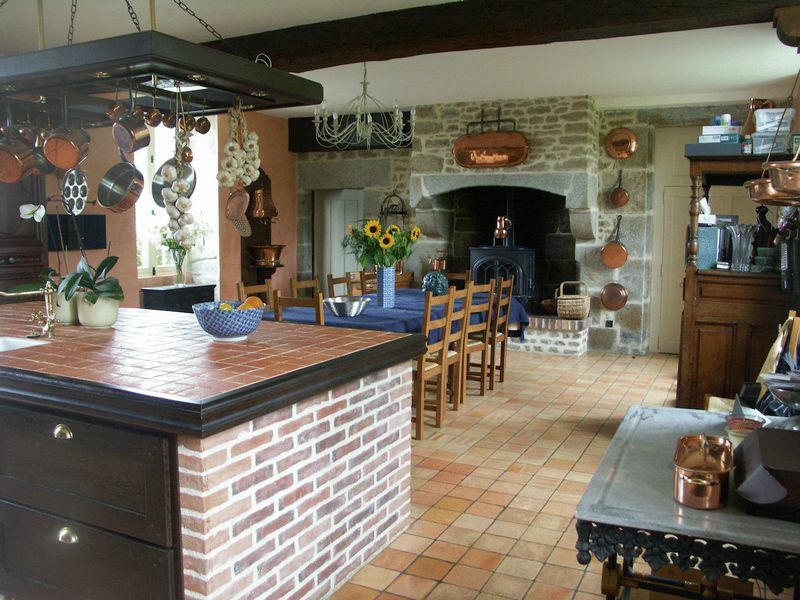 We highly recommend an early viewing of this beautiful and desirable property in the heart of the French countryside. 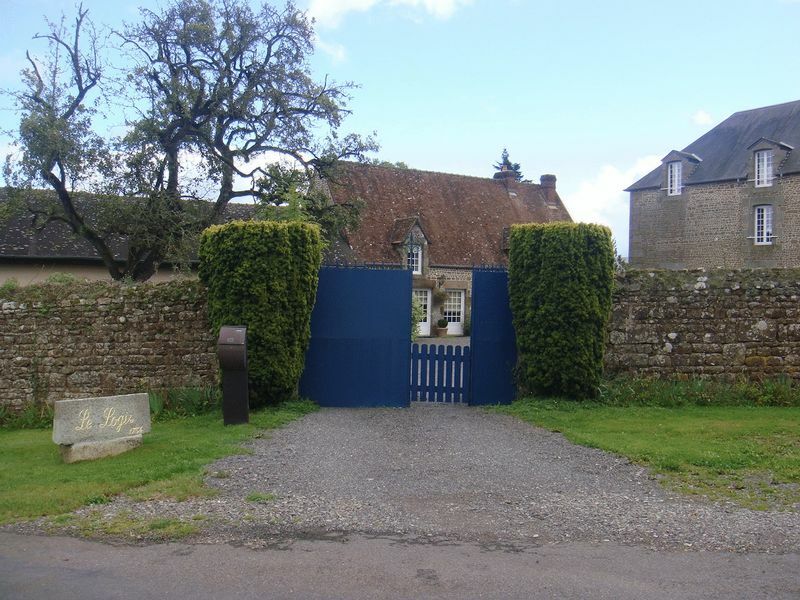 The department of L'Orne is in Normandy and is one of the oldest in France. 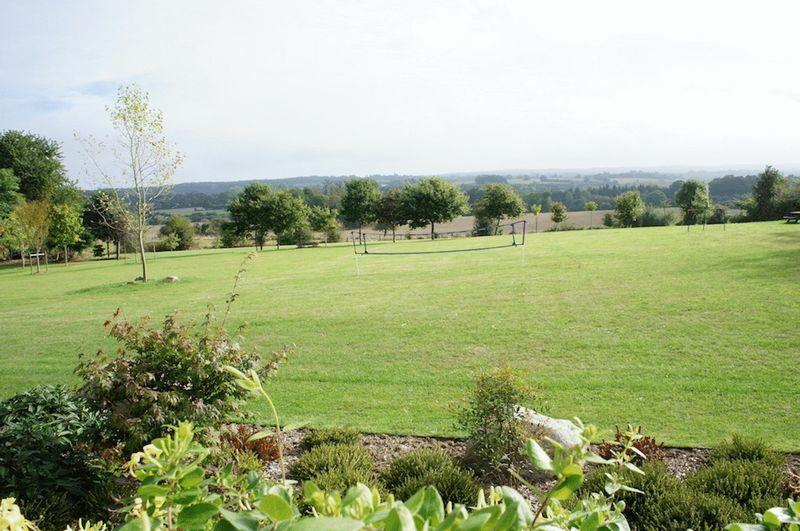 It is an area known for rolling, verdant countryside and is popular with holiday makers, second home owners and permanent residents because of its good communication links. The department's principal town is Alencon, which is approximately 30 minute's away while the coast and ferry port of Caen can be reached in around an hour. 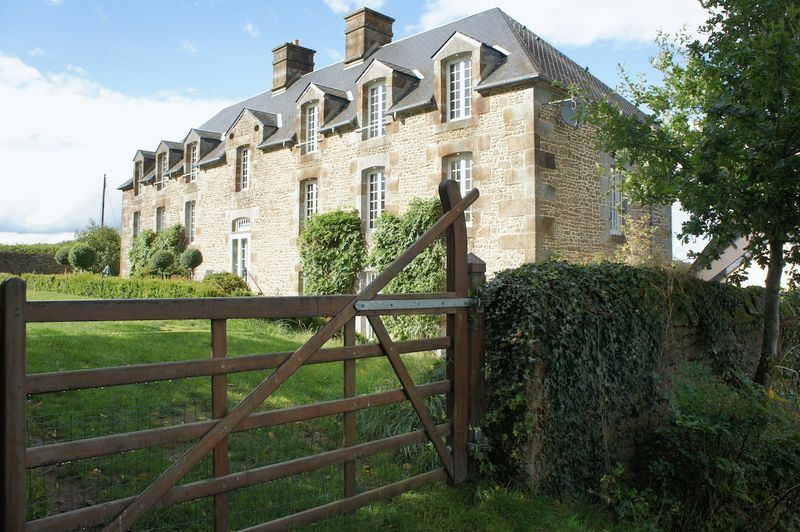 French Properties Direct markets property on behalf of the vendor who is selling privately. We will forward any enquiry you make to the vendor who will contact you personally. The vendor reserves the right to withdraw the property from sale at any time prior to a compromise/promesse de vente being approved and signed by both parties. 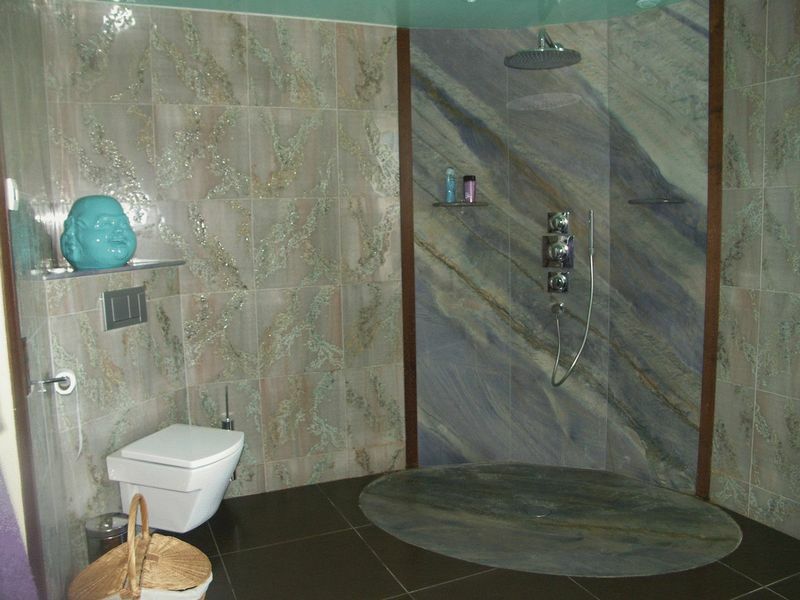 The property information and photographs we have published have been provided by the vendor. We publish them in good faith, but cannot warrant their accuracy, completeness or legality. Please confirm the exact location of any property we advertise with the vendor as the location indicated on any maps provided may not be exact. There is no estate agency commission to pay us if you buy this property following an introduction by us. 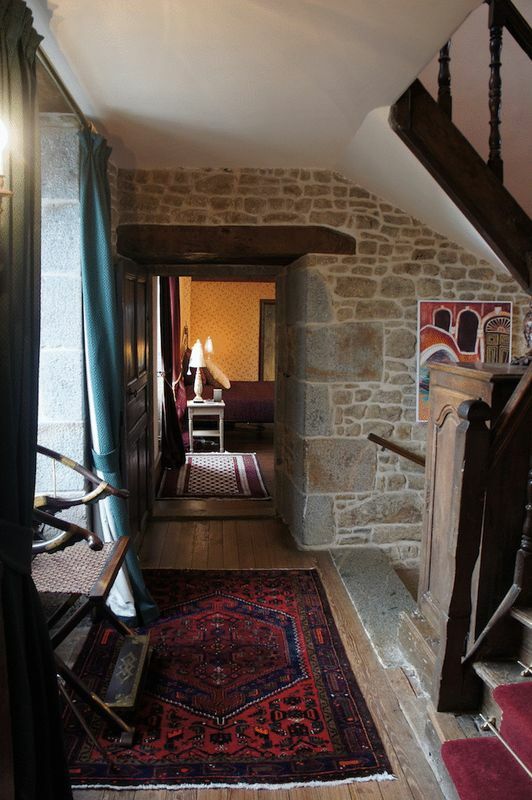 Originally built in 1754 as a ‘Maison de Travail’ and convent, the 6-bedroom Manor has been lovingly restored and tastefully redecorated to an extremely high standard by the owners. It’s an impressive home, constructed in blue granite, and expands over three floors with a total of 440 sq m of luxury living space. 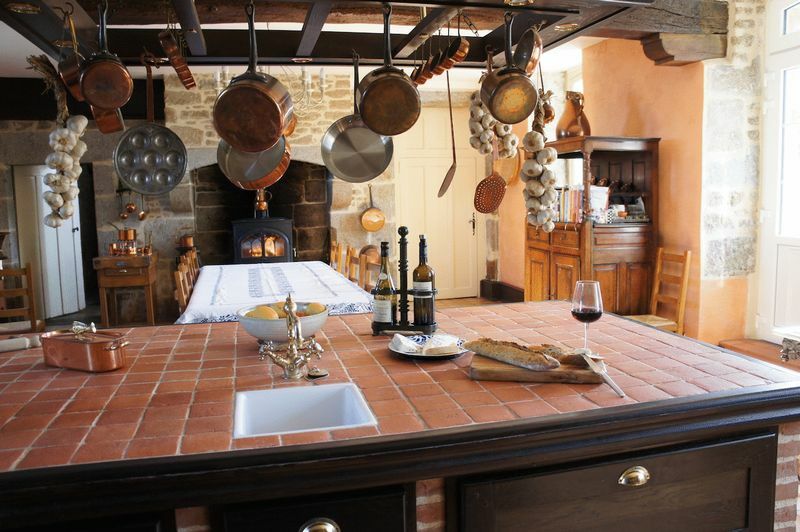 Original features include four 18th century fireplaces, exposed wooden beams, and 75cm-thick walls. The gardens have been developed with the assistance of local experts; evergreens, lush shrubs and climbers cleverly enhance the ambiance of the outdoor areas and add luxuriance to the views from every window. From the vast gravel driveway and courtyard, a formal entrance door opens into the granite hall. An additional and more informal entrance opens directly into the kitchen with its huge built-in island, a “Lacanche” piano oven, dining area, original fireplace with log-burner, and enormous under-the-stair pantry. A door from the kitchen opens onto a sun-drenched terrace, perfect for al fresco dining. 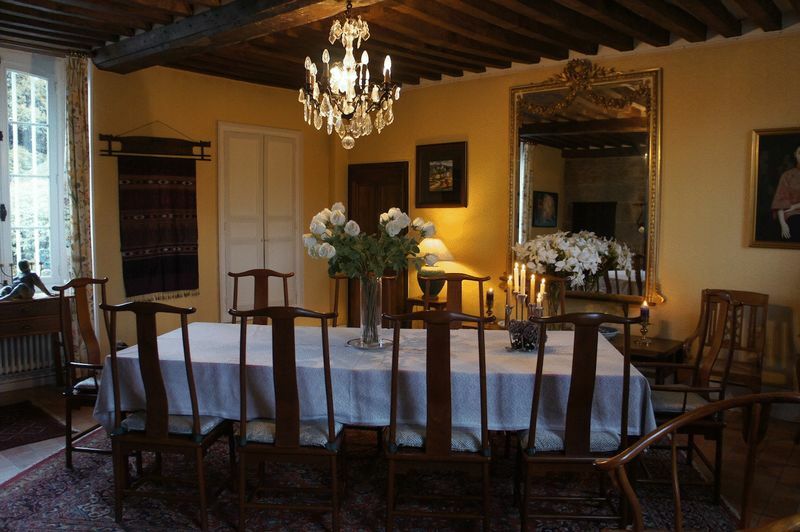 The large, light dining room boasts an original granite fireplace and wooden beams. Also on the ground floor is a separate WC and a room currently being used as a gym. 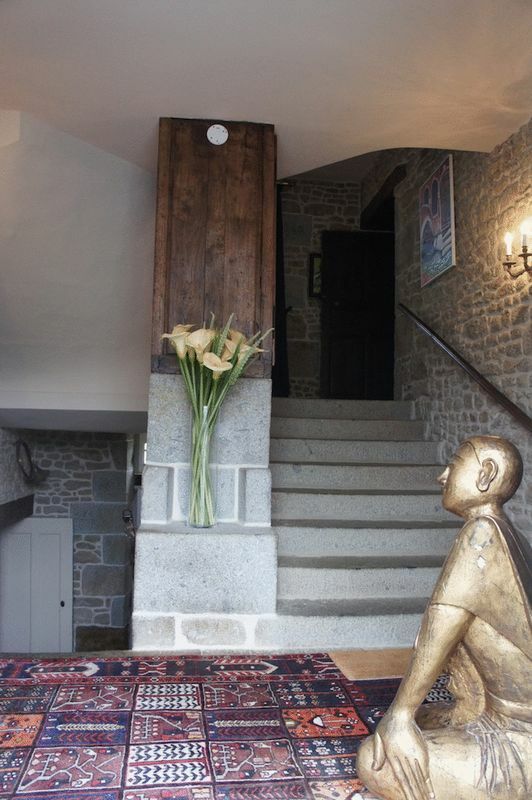 A granite stone stairway leads to a half landing with entrance to the rear gardens, outdoor heated swimming pool (3m x 15m) and the two terraces. The stairway continues to the first-floor landing. 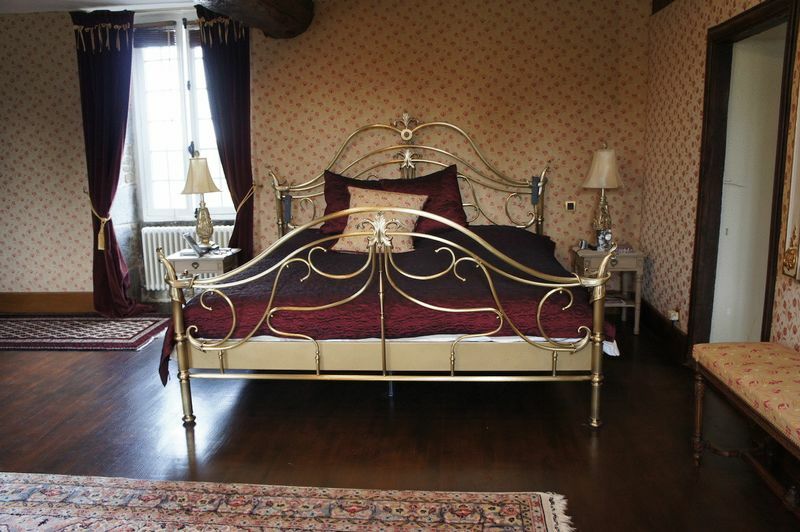 The entire east wing boasts an enormous master bedroom with wooden floors and beams, dressing room and original fireplace. 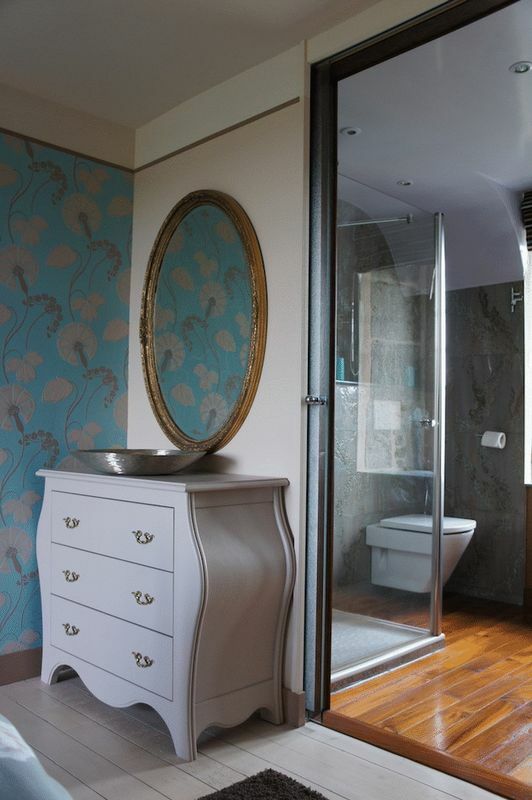 Leading from the bedroom is a cavernous master en-suite. 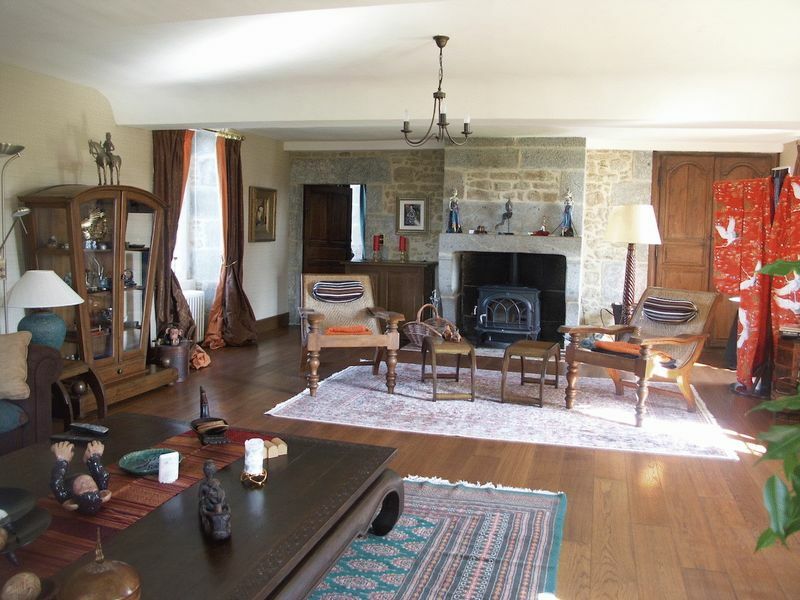 The large lounge covers the west wing and features an original fireplace with log-burner, and 5 large windows to front and rear that deliver an abundance of natural light. 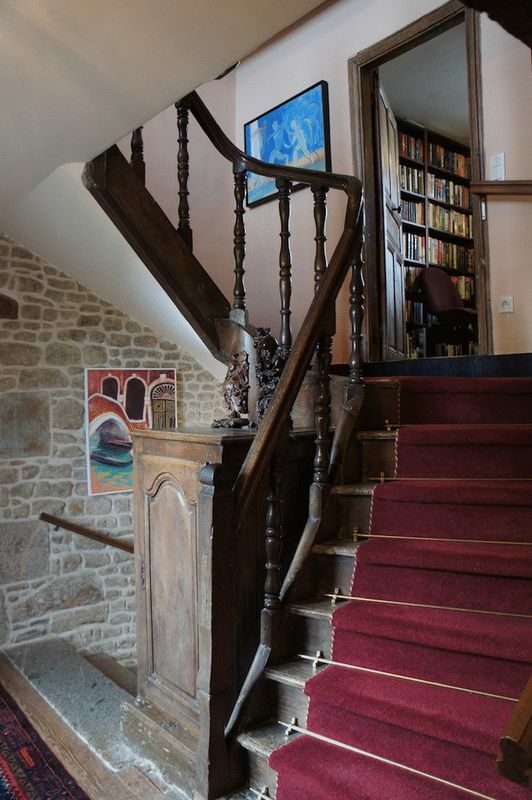 From the central landing, a carpeted and sweeping staircase rises to a mezzanine level with small landing and study. 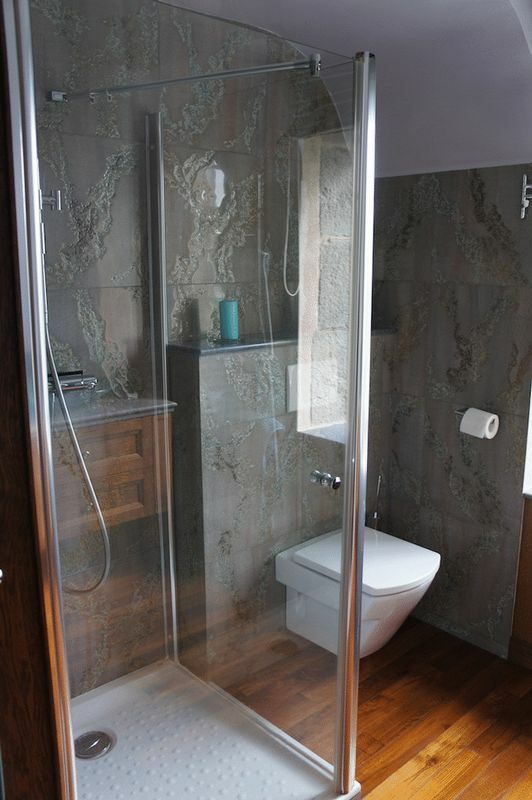 The current owners have prepared this room for potential use as an additional bathroom (pipes are already in situ). The stairs extend up to the second floor landing. 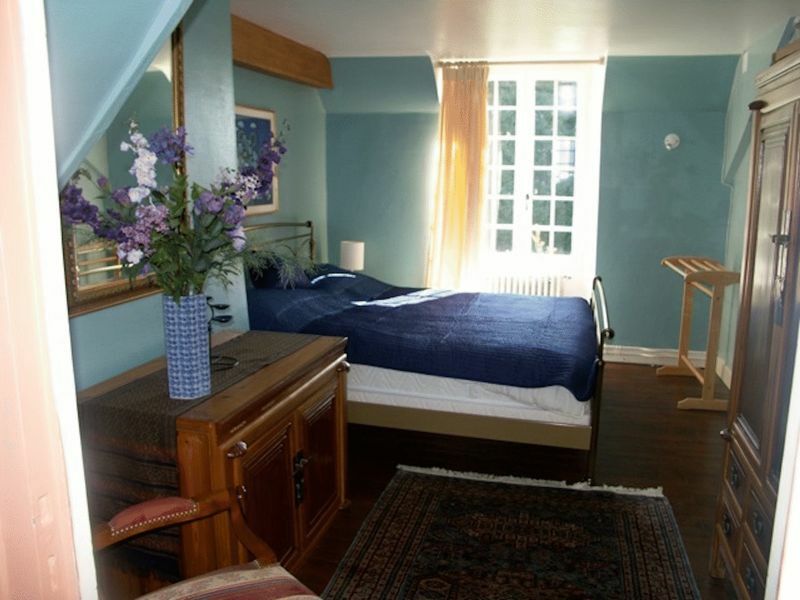 The east wing has two bedrooms with wooden floors, each stylishly decorated with views over the gardens. There is also a family bathroom with separate WC. 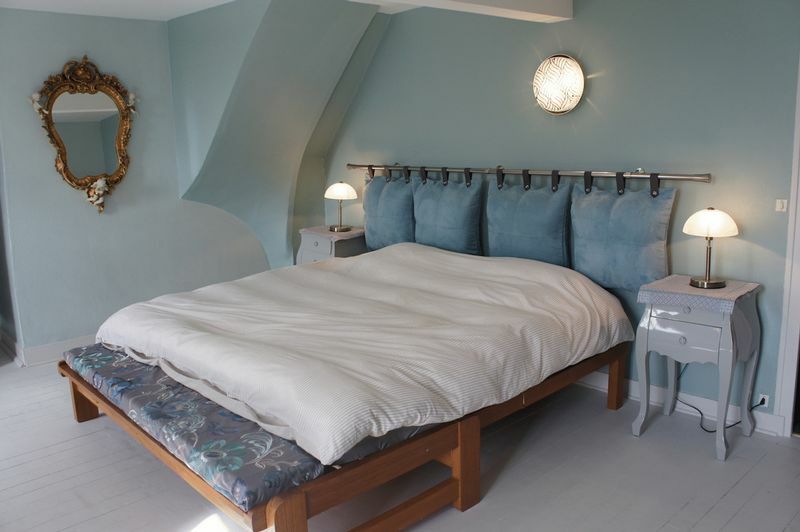 The west wing features three further bedrooms, one with an en-suite, all with original wooden floors and views. The Cottage sits adjacent to the Manor and is currently used as a summer rental property. 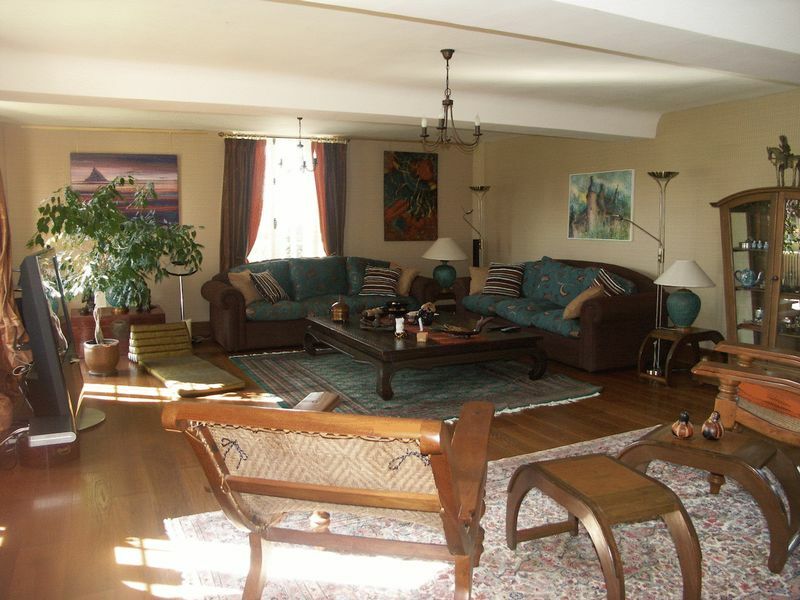 With 5 bedrooms, it makes a perfect caretakers residence or an additional property for extended family. Behind the Cottage, the private landscaped gardens of mature shrubs opens onto a hedge-lined and enclosed grassy paddock and tree-lined field with two gated entrances. From the front driveway and courtyard, the main door opens into the kitchen on the ground level. A fully equipped and spacious room, it features a back door which leads to a terrace with an outdoor heated swimming pool (3m x 9m), al fresco dining area with awning, and children’s play area. 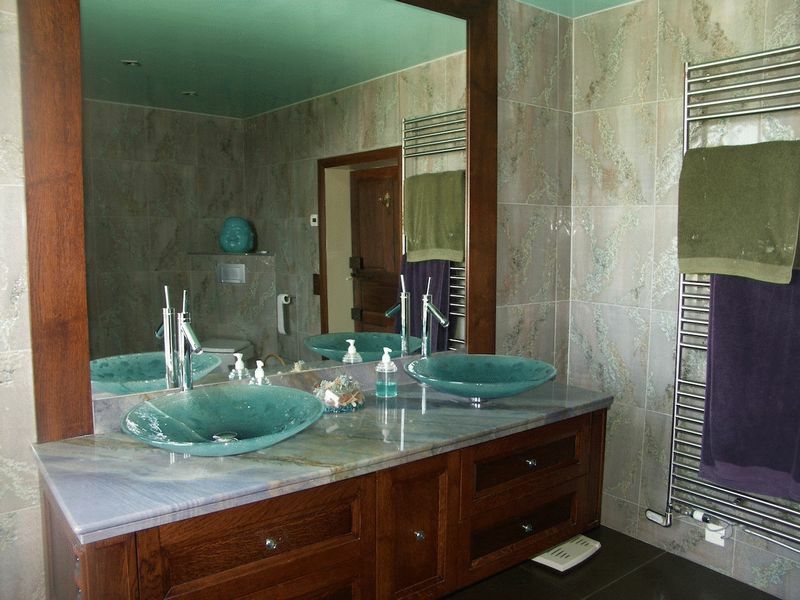 A family bathroom and separate WC are situated on the ground floor, next to a large stone-floored bedroom with private entrance. 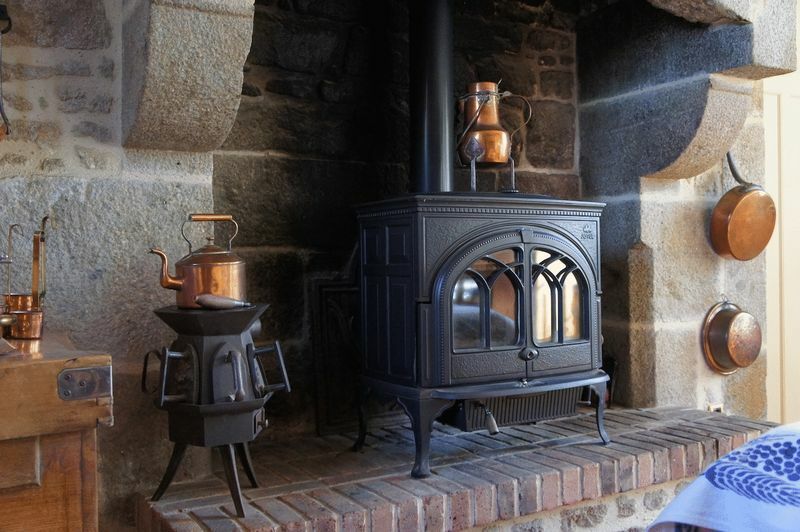 The large lounge features an original stone fireplace and hearth, wooden beams and large windows to front and rear. A stairway rises to the first floor. A master bedroom with wooden beams and views to front and back, with en-suite bathroom and small adjoining bedroom perfect for babies or small children. Two additional bedrooms are located on the first floor plus a large landing and storage cupboard. The gardens and landscaped and have plantings of mature shrubs and trees. They are gated and the perimiter is enclosed by a dry stone wall. There is also a paddock which could be used as a helicopter landing pad. Within the grounds are two heated swimming pool. The property has a garage, cellar, workshop and woodshed. There is also a pool filter room and a pagoda in the gardens. Geothermic /( 6 x 100 meter wells provides + 21 deg C year around – and + 28 deg C in the two (2)* swimming pools during the 5 month summer season – Alternative heating support is “Oil burner”. 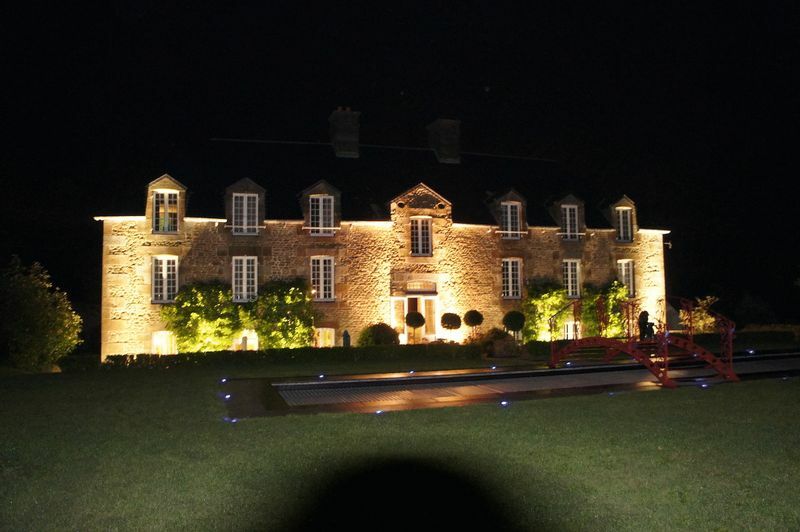 The Manor has 440 Sq metres of habitable accommodation/ surface habitable (metres carrés)…….. 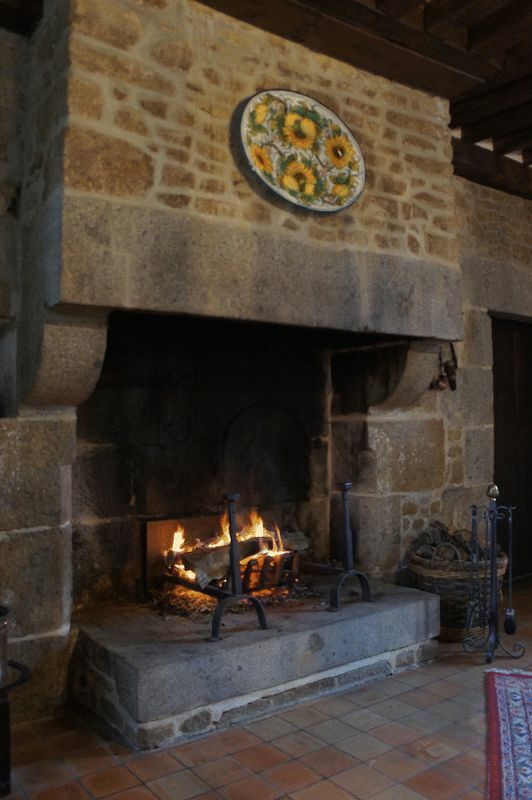 The Cottage has 135 Sq metres of habitable accommodation/ surface habitable (metres carrés)…….. 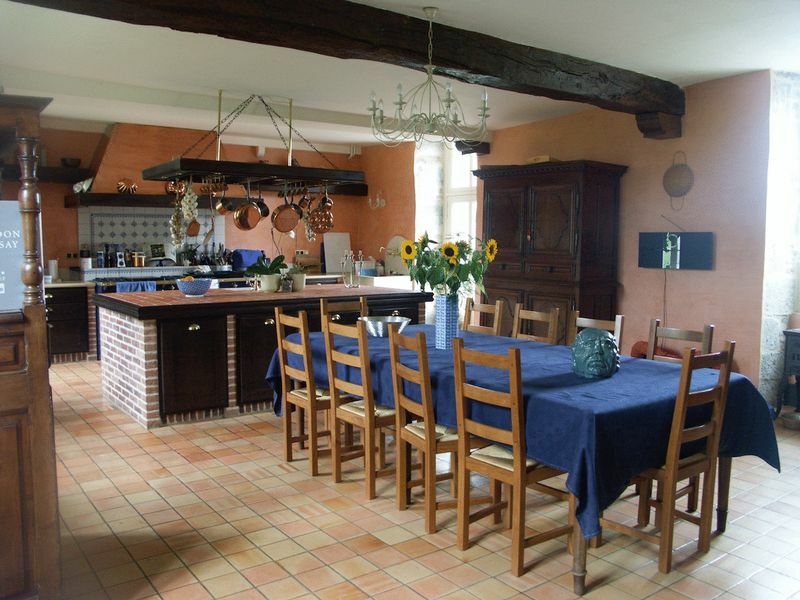 Please see the property's web site www.Le-Logis.com for floorplans, interactive photographs and more information. 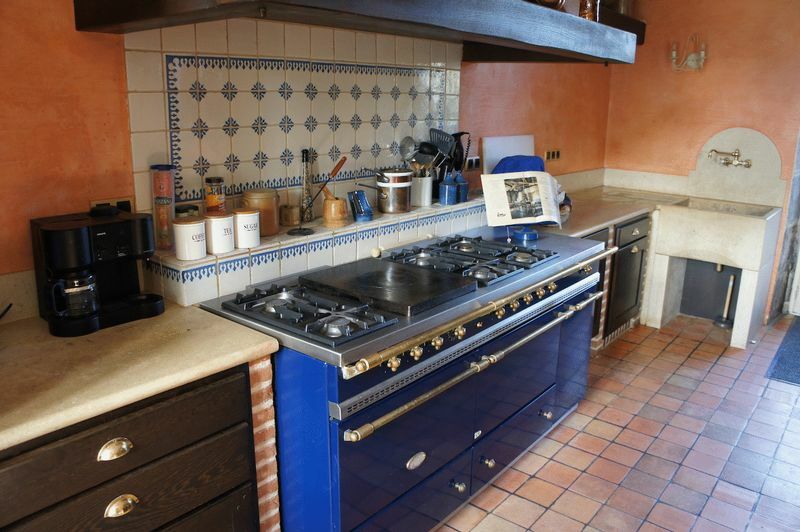 © French Properties Direct. All rights reserved.